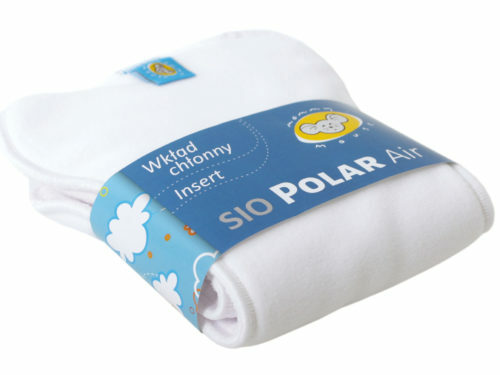 Diaper AIO is an abbreviation: ALL – IN -ONE or “all in one”. 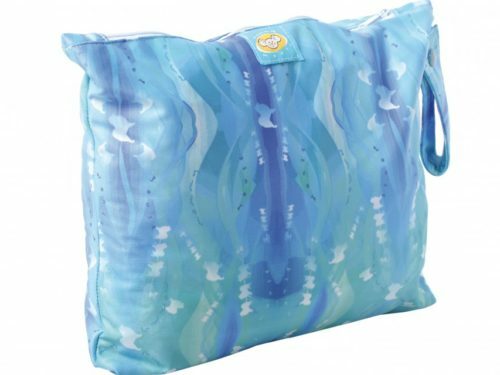 It is designed for children who weigh from 6.5kg to 16kg. 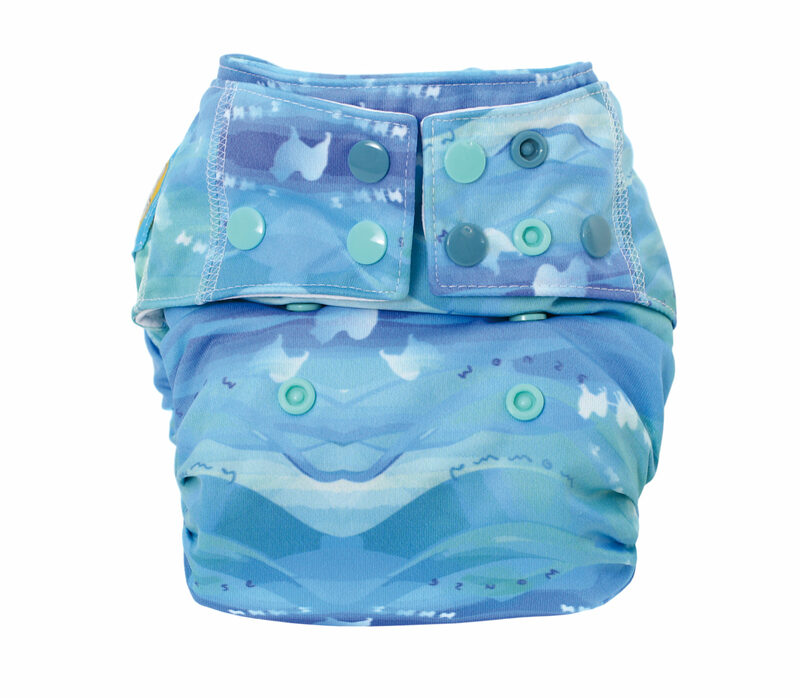 The diaper consists of a colourful, waterproof PUL which the absorbent part of the diaper is sewn into. 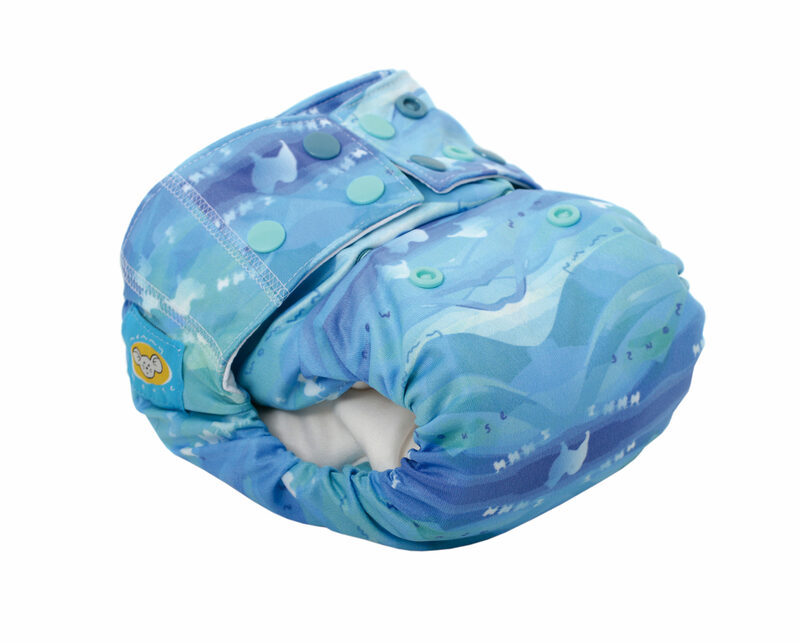 The waterproof part of the diaper protects the clothes from leakage and is integrated with the absorbent part of the diaper. 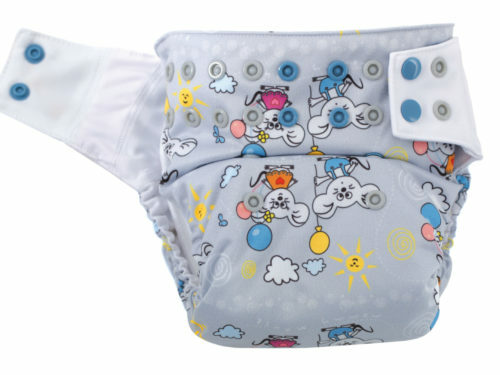 The entire diaper has been very carefully designed. 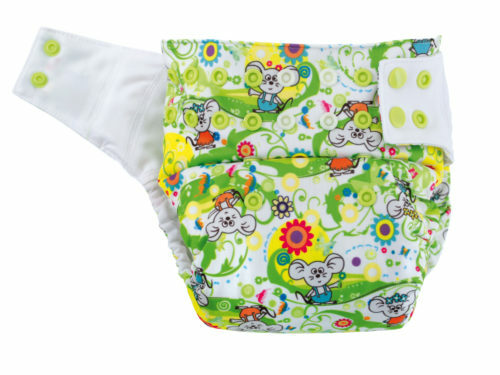 The diaper consists of a colourful, waterproof PUL fabricon which the absorbent part of the diaper is sewn into. 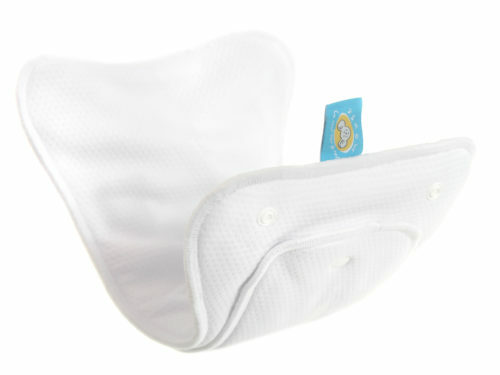 The absorbent part of the diaper is a pocket which opens at the front and back of the diaper. 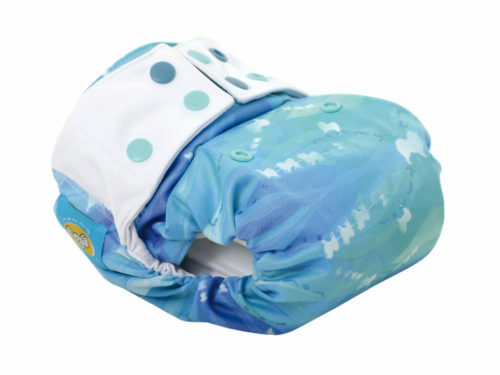 This allows you to conveniently arrange the absorbent part inside the diaper. 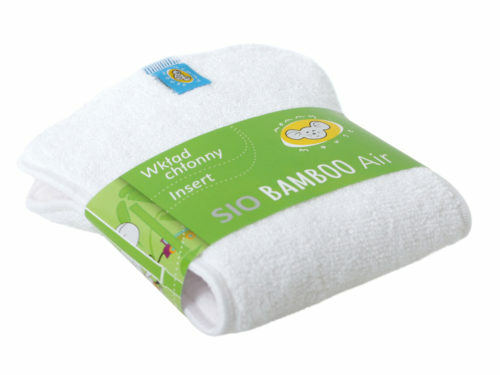 This accelerates the drying process in the interior of the diaper. 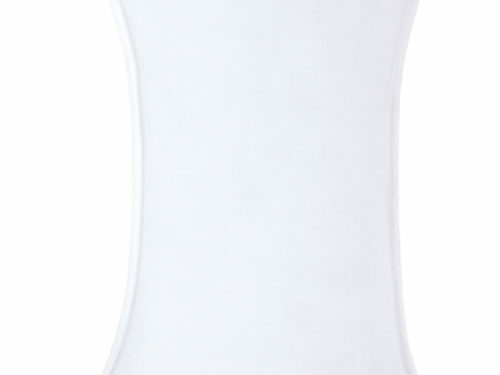 The child’s skin is wrapped in two layers of soft, absorbent, unbleached organic cotton. On the layers a long absorbent core is sewn. 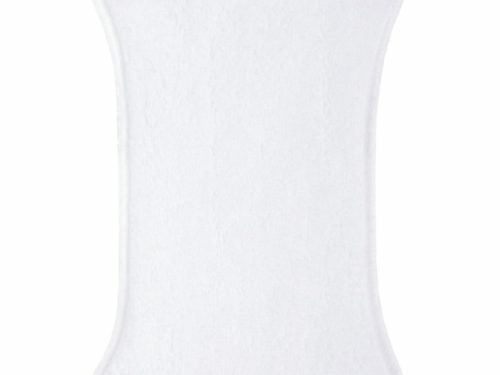 The absorbent core has been pierced in three places. 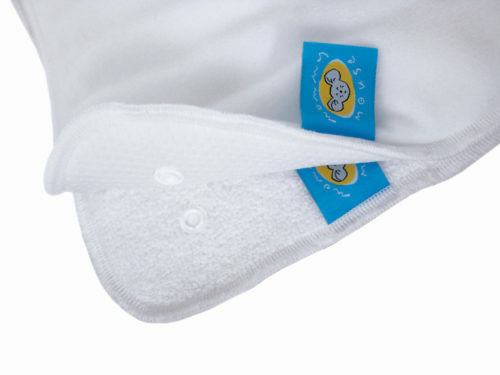 These piercings suggests the place of folding for girls (one folding of the insert in the centre of the diaper) and for boys (double folding of the insert in the front of the diaper). Such folding combinations allows for maximum absorption control. The diaper is very easy to use. 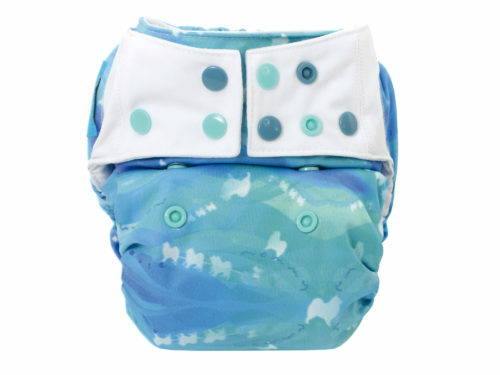 We do not have to adjust the absorbent pads in the diaper, which is why the AIO diaper is perfect for anyone who is not familiar with reusable diapers. 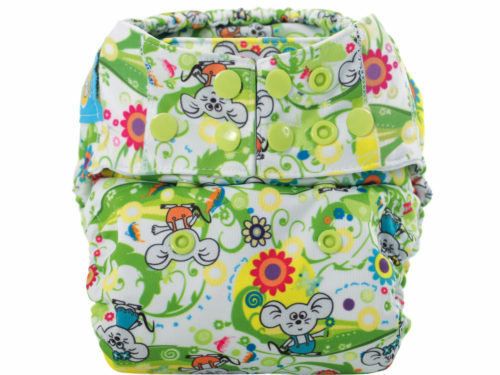 Grandparents Nannies or even in the nursery school would find this diaper a good option. We pull out the “ready” diaper from the washing machine. 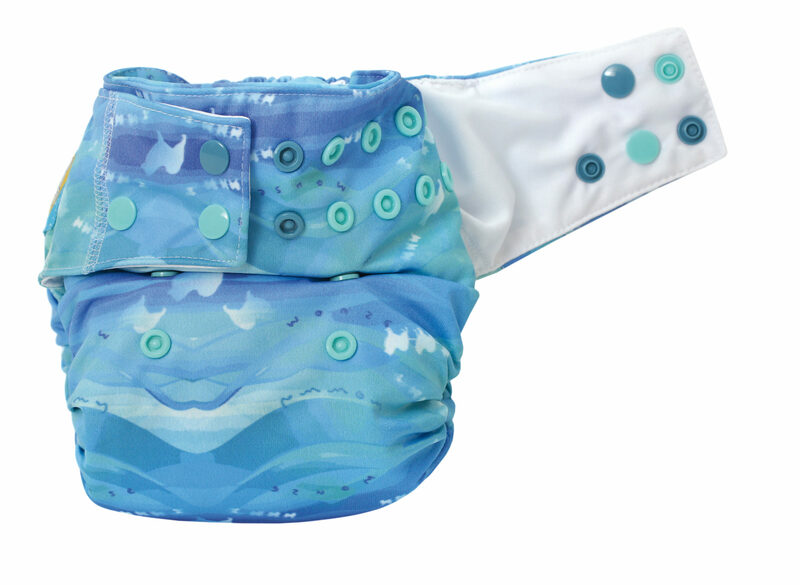 Drying: spread or hung behind the ear and the panel on the tummy in a horizontal position this will protect the diaper from stretching the elastic bands. 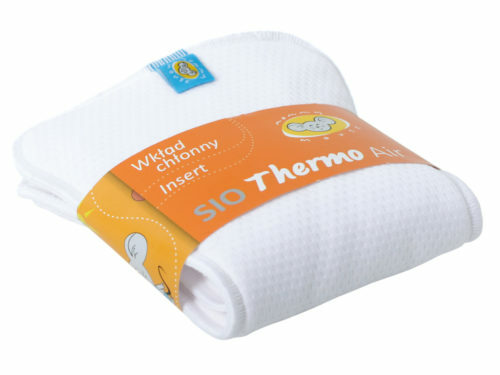 To ensure the child’s comfort of dry skin at all times, you can insert a Fleece Dry or Thermo insert.